SHEROES is a career destination for women professionals, committed to career success and individual work-life fit. For women SHEROES is a gateway to the finest opportunities, resources and conversations. 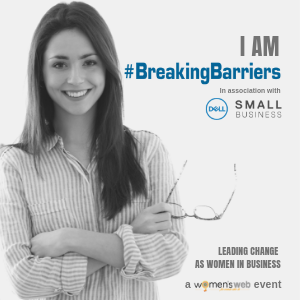 There is a diverse and large range of opportunities to pick from — these include opportunities with women friendly employers, flex friendly formats, mompreneur programs, partnership programs and more. SHEROES is committed to enhancing the quality and quantity of opportunities for women and investing in women professionals through various phases of their career. 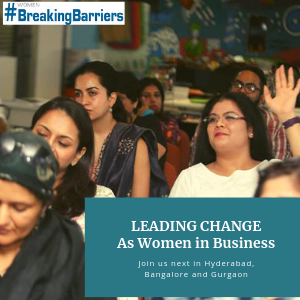 SHEROES is an event partner at Breaking Barriers To Business Growth Step Above event.